It’s no secret how I feel about buying a home, and I recently wrote about my thoughts on it here. In short, it’s an amazing accomplishment and something I can’t wait to experience for myself, but it’s just not in the cards for me right now. That said, I still can’t help but feel a small pang of envy when I come across articles about people who seemingly breeze through buying a home in their mid-20s. A few days ago, a friend sent me this article from CNN Money called How I Bought A House At Age 25. I found myself experiencing that same jolt of amazement mixed with awe (and, let’s be honest, the tiniest bit of envy). Of course, I’m thrilled for people who are able to accomplish such feats at a young age, but knowing that it’s still a few years off before I can reach that goal feels…meh. The article from CNN talked about a young woman, Emily Brown, who bought a house in Cleveland, Ohio on her $50,000/year accountant’s salary. She was 25 at the time ( *cue knife to heart* ), and was diligent with saving, planning, and strategizing to make her home owning-dream a reality. She points to a few of her financial strategies that helped her do this, which included saving diligently and never overextending herself. She said she would never buy property she couldn’t afford, and strap herself with a hefty oversized mortgage. That might sound like obvious advice, right? Actually, it isn’t. 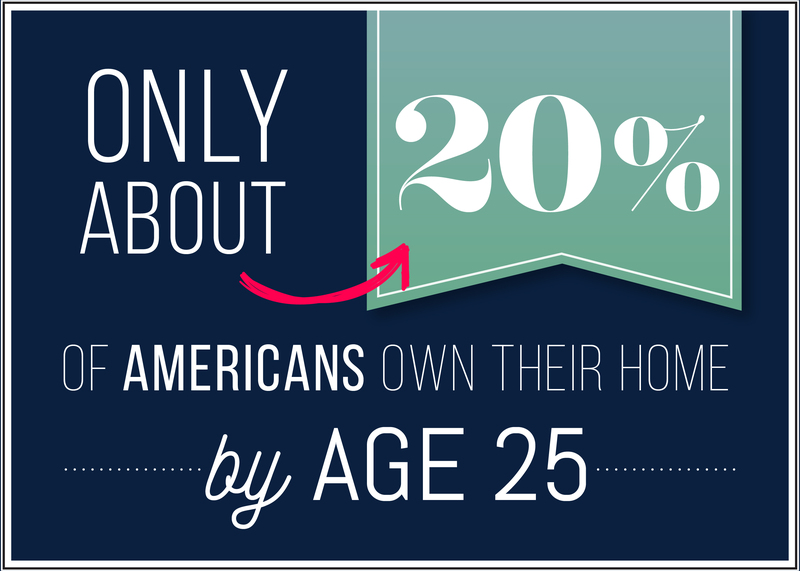 An article I found on Market Watch pointed to a recent survey that stated, “Over half of Americans (52%) have had to make at least one major sacrifice in order to cover their rent or mortgage over the last three years.” Yikes. It seems like Emily’s financial strategy isn’t as common sense as I previously thought. In some ways, I feel that I (along with a great deal of my peers) have an inherent fear of buying a home due to the widespread effects, both actual and psychological, of the Great Recession. It’s something that Emily touches upon in the interview she gave to CNN, and her feelings on that event is something her and I share. Like a lot of people who were in school during the Great Recession, I found that witnessing how it affected people’s careers and job prospects was daunting and downright scary. For me, I had the extreme fortune of graduating from high school when the recession first began, and I had the luxury of a multi-year cushion during which I rode out the “storm” of what was happening. I went to a state college, and had time to think about (and prepare for) how my student loan debt would affect me and my home buying prospects. That period also gave me time to decide what I wanted to do with my life, and how I could learn job skills that would serve me over the long run. 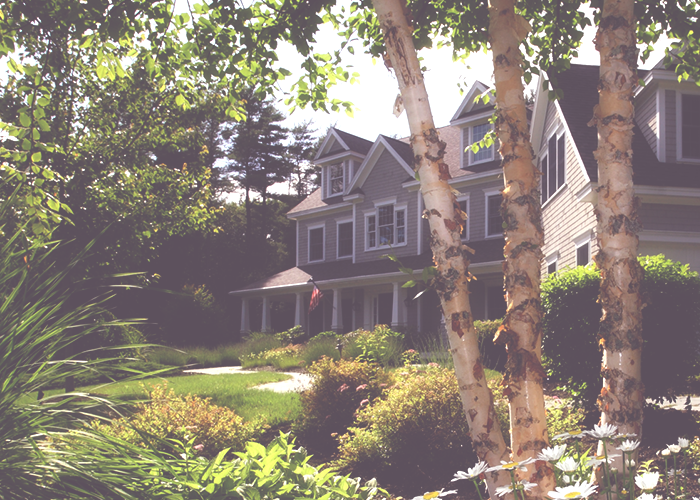 Buying a home always seemed like something I’d do ~one day~ far down the road. In the article above, Emily similarly credits the recession as a financial learning experience. CNN Money writes, “(Emily) credits her financial savvy to three things: Parents who stressed frugality, reading the book Rich Dad Poor Dad, and going to college during the Great Recession.” Emily commented on those points saying, “Living through 2008 and seeing people lose their jobs taught me you have to prepare for anything. I wanted a game plan, not living paycheck to paycheck.” Emily was definitely someone who could be considered “not rich,” and she paved the road to buying a home with hard work and sacrifice. For example, when all of her friends were out drinking late, she stayed home because she had already burned through her “fun money.” And, instead of living in the hApPeNinG neighborhood where all the action was, she chose to live far away where it would be cheaper to park her car. These were just some of the many things Emily sacrificed in the short-term to afford her own home, and she explains them in more detail in the full article. That’s right, only 20%. The home that Emily purchased cost ~$107,000, but the average cost of a home in America is actually much higher. The average new home (based on data for March 2016) costs between $288,000 – $356,200. To me, it seems like part of the reason Emily was able to buy a home at such a young age (in addition to her being savvy with money), is that the price of her home was far below the median. And, rightly so, as that decision was intentional and one of the core pillars of her financial plan. She opted out of the trendy downtown neighborhood all of her friends were living in, and bought a fixer-upper in the suburbs. Emily was making $50,000 at the time she bought, which is much higher than the national average of $38,272 for the 25-34 year-old age group. Another pro tip. While these stats might seem dry, I think they are really useful to know. Reading stuff like this helps me gauge whether I’m on track with my peers, and if not, what I could be doing differently to get there. Most articles I find online are written from the viewpoint of an older financial guru talking to young people about what they should be focusing on, and how they should save their money. I also find that it’s much more useful to read an article from the perspective of someone my age who actually went through it on his/her own, and give specifics on what it took to get there. Surprisingly, I found that reading through the CNN article a few times alleviated the little bit of envy in me, and I found Emily’s pragmatic advice to be really inspiring. Her interview inspired me to read more about millennials and home buying for myself, and learn what it takes to own a home. While I’m not quite ready for the drastic life change that buying a home would entail, the article served as a reminder that doing so is going to be an exciting, rewarding, and realistic goal I know I can hit — one day.